When an iPhone is utilized over quite a long period of time, different applications tend to possess more space on it. An iPhone temporary file is created because of different applications running and these files start to expand more and more with time and end up taking most of the memory space on your iPhone. These temporary files are very rarely utilized but they stay in your phone for a long time, actually until, you don’t delete them yourself. Our iPhone devices keep on storing these files every day and do not automatically clean to have more memory space. That is why, it is essential for iPhone users to clear temp records from their Apple devices that include the iPad as well, frequently. The problem with having these files is not only that they take memory space, they can actually slow your iPhone as well, so it is pretty important to get rid of these junk files. Now, as you know where your phone’s memory space is going and why is it important to delete the temporary files from iPhone, the question that comes our way is, how to delete them? The answer is very simple. iMyFone Umate Pro! Why? iMyFone Umate iPhone Cleaner is one of the best and easiest way to get rid of those temporary files from your iPhone. It is considered to be the ‘all in one’ cleanup tool for all iOS devices as it can help you manage your storage, know what files are taking most of your storage and clean up your iPhone to give you maximum memory space. It is very easy to install and is one of the most user friendly tools you can come across. The iMyFone Umate Pro is available for Mac and Windows as well. How to Clean Temporary Files from iPhone Completely? The best thing about iMyFone Umate is that it does not only delete the app temporary files from your iPhone but it can also delete other junk files that include cache memory from internet browser, “other” files, cookies and even logs. It also shows you the large sized files that can be deleted to save up memory space and the apps that you can delete. It basically scans and analyzes your iPhone or iPad and gives you a plan as to how you can have maximum storage space on your device. 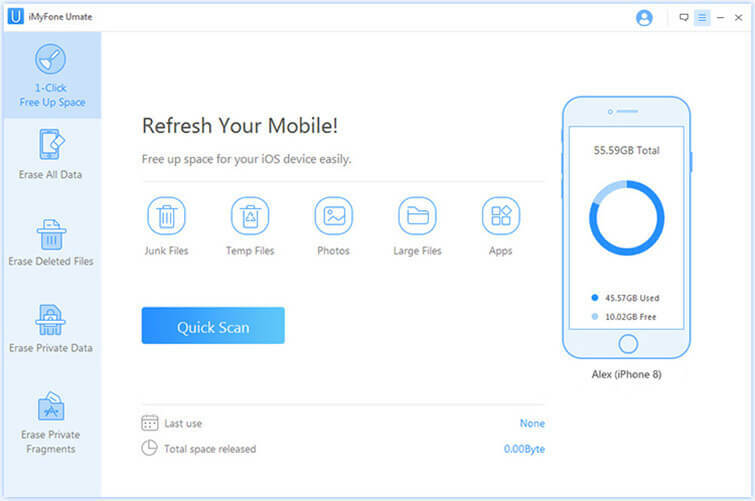 Detect and Remove Junk Files - After a complete scan, it will list and delete 30+ hidden junk files from your iPhone. It is for free trial. Find out App Temporary Files - Temp files are invisible and it will accumulate with time, the program can find out all them and give you the option to delete them. 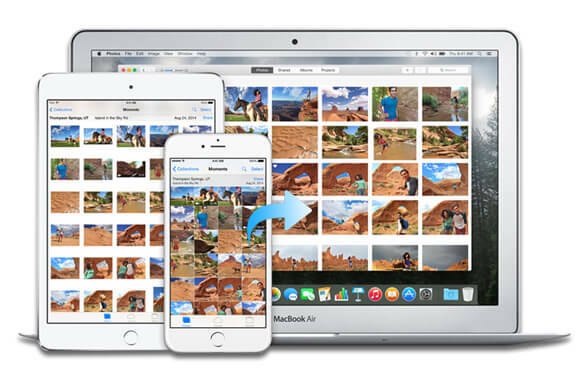 Manage Photo - you'll have 2 options to choose: compress or mass delete all photos. Compression will reclaim 75% of photo space. Delete Large Files - Umate will scan your device and show all videos over 5MB for slecting and deleting. Manage Apps - a bulk of apps can be uninstalled once. Erase Private Data - permanently delete some unwanted personal or private data, like WhatsApp, messages. 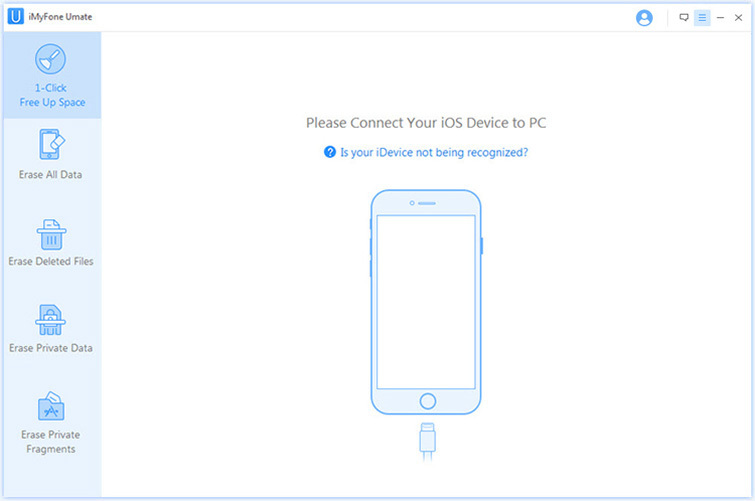 The following is a step by step guide for using the iMyFone Umate Pro on your PC to delete the temporary files from your iOS device. The whole process is quite simple and it doesn’t take much time either. Step 1 Connect iPhone to the program with a USB cable. Connect your iPhone with the computer so that it can be recognized by the program. Click "Quick Clean", and then you can see the program displays different types of junk files on the screen for your reference and how much space can be saved. Simply click on “clean” in front of the “temporary files” option and there! 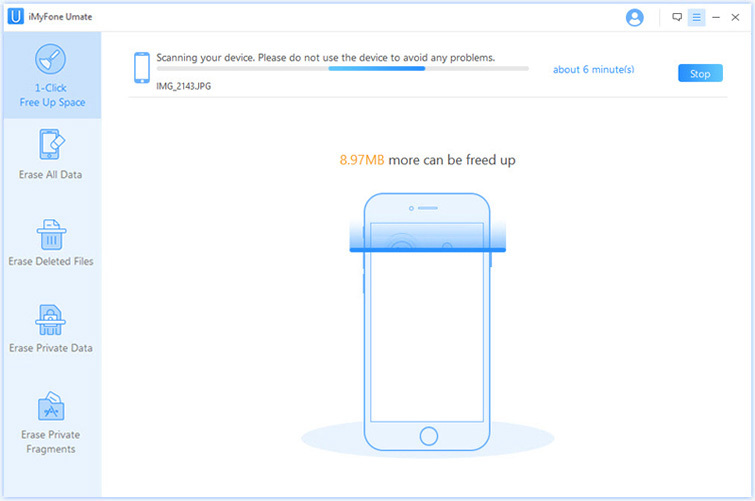 It will take a few minutes to process and clear your iPhone from the unwanted app temporary files.